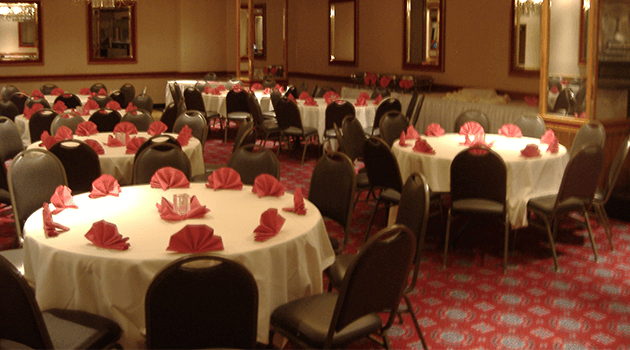 The Riverside Resort proudly offers many banquet rooms for all occasions. 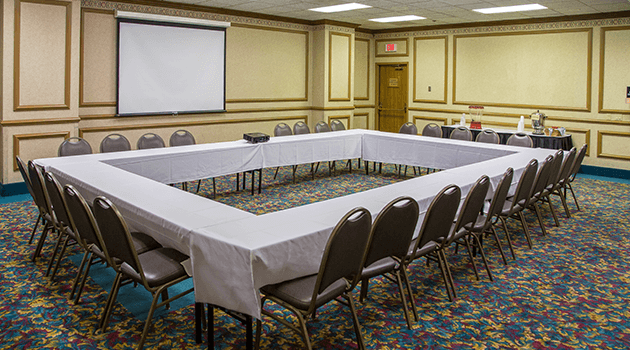 The Riverside Resort proudly offers banquet rooms to meet the needs of your upcoming event. 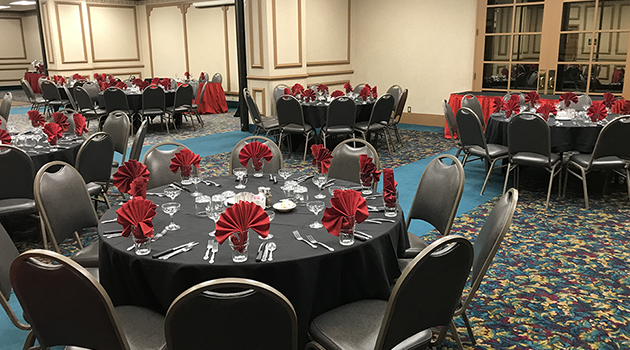 Whether you are planning a business meeting, banquet luncheon, wedding ceremony, elegant dinner, wedding reception, birthday party, holiday parties or any special occasion, let us do all the work for you! We can accommodate small or large parties, up to 450 guests. Our Banquet Chef can create a special menu just for your event. Our resort offers over 14,000 square feet of meeting and banquet space. Contact our Event Specialists today 1.888.733.5824 & and choose # 3, # 2 (the option for Banquets). Our Banquet Chef will create a special menu just for your event. Our resort offers over 14,000 square feet of meeting and banquet space. 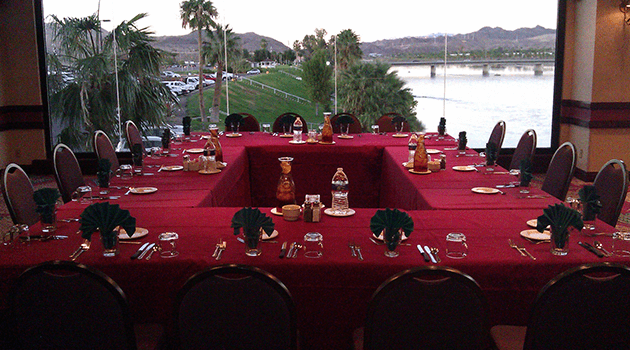 The Starview room has a breathtaking view of the Colorado River. Great for large weddings, corporate events, family reunions and holiday parties. Delicious food options, full-service bar, private restrooms, a large stage with sound system and much more. The Harbor Port Room(s) Can be used as one large room or divided into three separate rooms. The Mirror Room features a 50’s style bar, crystal chandeliers and framed mirrors around the room. 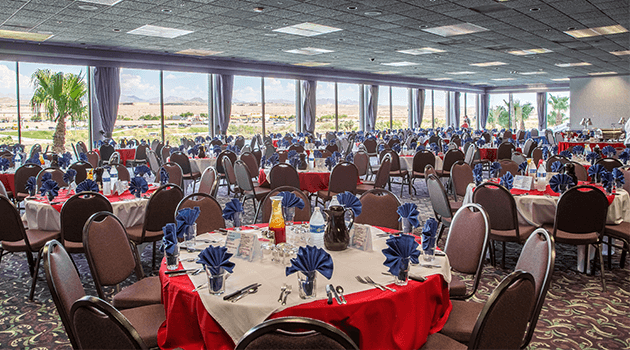 The Bridgeview Room offers a wall of windows overlooking the Laughlin Bridge and the beautiful Colorado River. The Gold Room is ideal for small meetings or banquets. This room features framed mirrors and fixed fluorescent lighting throughout the room. Book Your Next Event with Riverside!